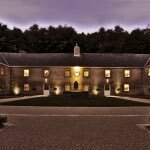 Close House, official venue of the European Tour’s British Masters in 2017 and home to Ryder Cup legend and former world number one Lee Westwood, is perfectly located to enjoy a golf break in Northumberland, while just minutes from Newcastle upon Tyne. With a choice of two excellent courses, The Lee Westwood Colt and Filly courses, the North of England’s only PGA Academy complete with tour-proven practice facilities, the modern No.19 clubhouse widely regarded as one of Northumberland’s finest restaurants and world-class accommodation in its Courtyard suites and rooms – plus two new lodges for up to eight guests opening in 2018 – Close House will impress the most discerning golfers. Just eight miles from the city centre and Newcastle International Airport, golfers can be on the tee within an hour of arrival. 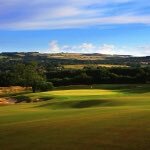 The Lee Westwood Colt Course is ranked in the top 100 golf courses in England and was opened in 2006. It hosted the 2017 British Masters with the likes of Westwood, Rory McIlroy and Sergio Garcia in the field and has also hosted events on the European Seniors Tour and EuroPro Tour. 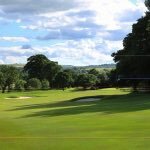 Although it has a tour pedigree, the course can be enjoyed by all level’s of golfers thanks to a range of tee positions and its strategic design. The course also offers some of the finest views of the Tyne Valley landscape. The Lee Westwood Filly Course was redesigned by architect Scott Macpherson and Lee Westwood in 2011, introducing USGA specification greens, a full re-bunkering and a far more strategic test to the par 70 layout. 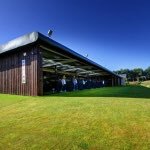 The PGA Academy at Close House features a floodlit driving range, some of the UK’s best short game facilities including the Yearling par three course, custom fitting suites for drivers through to putters, and PGA professional tuition. One night, bed & breakfast, two rounds – £140pp midweek or £165pp weekend. 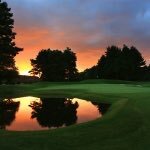 Two nights, bed & breakfast, three rounds – £220pp midweek or £240pp weekend. 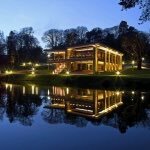 *Add a three-course dinner in No.19 from £20pp per night.